Four times a year, volunteers from across the Haw River watershed head down to their piece of creek or riverbank to take a serious look at the water and the life around it. Haw River Watch Project teams are instrumental in monitoring the health of the river and its tributaries. They check for changes in the color of the water, erosion and any indication of the health of the river to report back. In addition, volunteers test the pH levels and look for different aquatic insects. 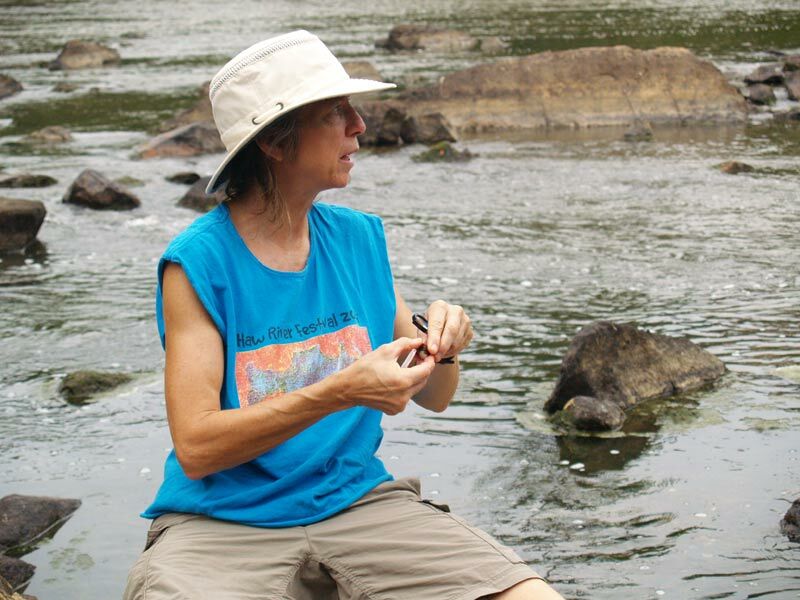 On Saturday, River Watch coordinator Cynthia Crossen demonstrated water sampling on the banks of the Haw in Saxapahaw. Participants of all ages traipsed around the river collecting water samples and various critters. 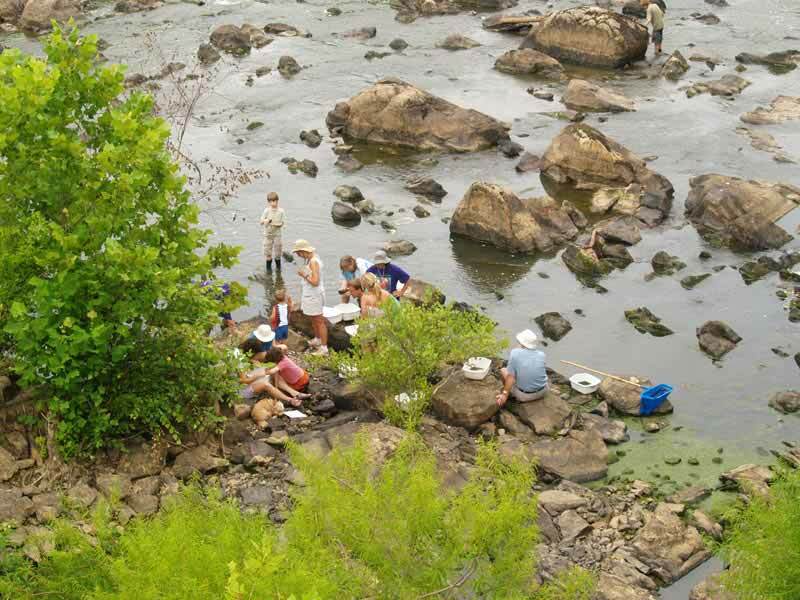 The Haw River Watch Project was launched in 1995 by the Haw River Assembly and focuses on seasonal testing of the river to manage the health of the entire watershed area. The project bases its monitoring on the Isaac Walton citizen monitoring method, which is used all over the country. Volunteers look for a variety of indicator species, which can withstand different levels of pollution. Teams also look at the sediment and mud in the creeks and river. Although there are regulations in place for developments in the watershed area, certain tributaries are full of sediment, making it difficult for certain species to live there. “Sometimes [the regulations] don’t get followed, and that’s a problem,” Crossen said. About 50 teams monitor sections of creek or river in the Haw River watershed. Crossen said the project is always looking for more people to collect information along the banks of the river and its tributaries. The Haw River is 110 miles long and runs through six counties, from Forsyth County to Jordan Lake. The watershed area includes Bolin Creek, Morgan Creek, Little Creek and other tributaries. “The more involvement, the better,” she said. “If people know their creek and go down and visit it, they will bond with it. In Carrboro, for instance, many residents bike, walk and play along the banks of Bolin Creek. Friends of Bolin Creek, a citizen group aimed at preserving the Bolin Creek corridor, monitors any development around the creek and is working toward creating a park and preserve along the corridor. The state has classified Bolin Creek as one of seven priority watersheds across North Carolina. Creeks are put on a list of impaired watersheds if they are not meeting certain standards. State officials chose to fund selected priority watersheds that had a good chance of being cleaned up. According to Crossen, all of the creeks in the Chapel Hill-Carrboro area are on the impaired list. 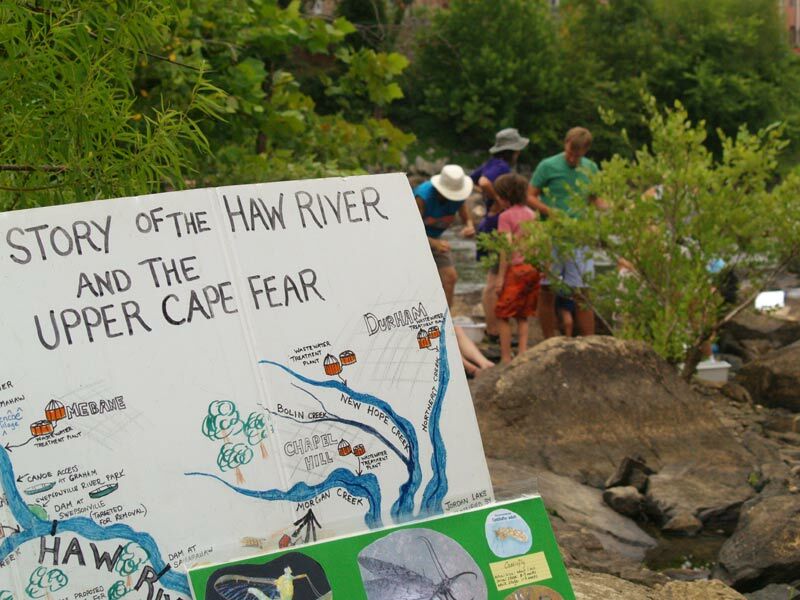 However, groups and individuals are getting more involved with the river and the creeks, and the Haw River Assembly and its River Watch Project are spreading the word through events like the demonstration on Saturday. “It’s also educational for people to learn about what a healthy creek is and how to keep it that way,” Crossen said. On Aug 22, There is going to be a public hearing at the White Cross Rec. Center about allowing the UNC. animal research center to spray animal and medical waste into the water shed. My friends and neighbors have asked me to speak in on this plan, I oppose this idea. I am asking anyone with info. on the past pollution of the Haw River and come out to stop this plan.